In the past, we have brought you many articles discussing the air quality of your home, from the build-up of particles in the ductwork to the allergens that can sneak into your house, but this article deals with something far more serious: sick home syndrome. This is the name that has been given to homes or buildings that are losing the battle with toxic mold and fungus originating somewhere inside the house. If you suspect that your home may have some dangerous growth, call the best HVAC company you can find as soon as possible. You may have heard or read stories about entire families who seem to be chronically ill, and after years of ongoing illness, finally discover that they had been living in a sick home. These stories are as real as they are disturbing, and the World Health Organization (WHO) notes that approximately 30% of all homes are likely “sick” to some degree. Failure to do regular duct testing and other air quality performance tests can lead to extended exposure in a sick home that can cause dry membranes, rashes and other skin problems, sleepiness and headaches, coughing, wheezing, and nausea, among other ailments. 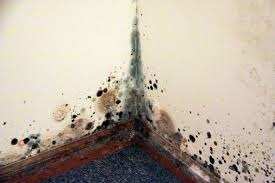 Add to this the problem that molds and fungi are often hidden from sight, spreading under a carpet or deep in a wall. As you can see, this is not a “get to it when you can” kind of issue, but rather a “stop everything until we address this” type of problem. Welcome to the Pacific Northwest where we are known for mountains, evergreens, and rain – lots of rain. This nearly constant high level of moisture, along with a moderate climate, is unfortunately a breeding ground for mold and mildew, so residents must take extra precautions and proactive steps (beginning with duct testing) to battle potential health threats. Many articles also place blame for sick homes on HVAC equipment, particularly the ducts and air conditioner, and while shoddy HVAC installation by inferior technicians can certainly add to the problem, claiming that HVAC is actually responsible for sick homes is not quite accurate. The origin of extensive spreading of mold and mildew is often found in areas of the home which have been exposed to excessive water, by such methods as flooding or a water leak. Once it has spread, the spores (tiny seeds which can become airborne), then get caught in the HVAC unit and ductwork which can lead to a dangerous buildup that feeds the particles back into the home’s atmosphere. Moisture in ductwork is not avoidable as it is the nature of its internal atmosphere, particularly when air conditioning is in use, so fixes such as external dehumidifiers are simple not adequate to address the problem. Unfortunately, this is not a problem that goes away on its own. Molds and fungi are one of the oldest life forms on Earth and are extremely aggressive. Some try to simply paint over areas on walls that have visible mold, but the problem is typically more insidious, requiring serious repairs to rid the house of contaminants. The first step in addressing the issue of a possible sick home is testing, such as the Home Performance test offered by Southwest Washington’s Entek HVAC. Once you know what you are up against, the problem must be approached from two directions: removal of the mold and mildew in contaminated areas (requiring a separate service) and the thorough cleaning and/or repair of the HVAC system and ducts that should be handled by your HVAC technicians. To address one aspect without the other will not put an end to the problem, only temporarily suspend the problem until the home is re-contaminated. If you suspect such contamination in your home or simply want to perform a routine air-quality check including duct testing (always advisable), call a trusted HVAC company.